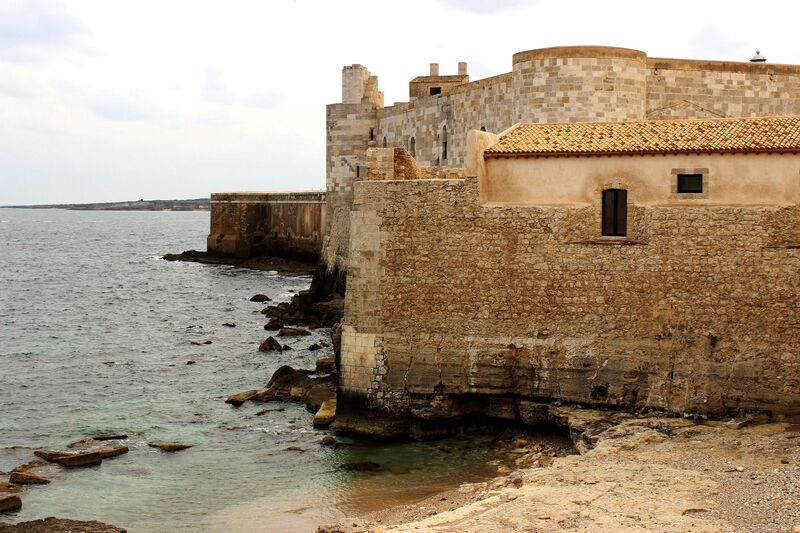 Castello Maniace is a medieval fortress situated at the tip of the island of Ortigia. 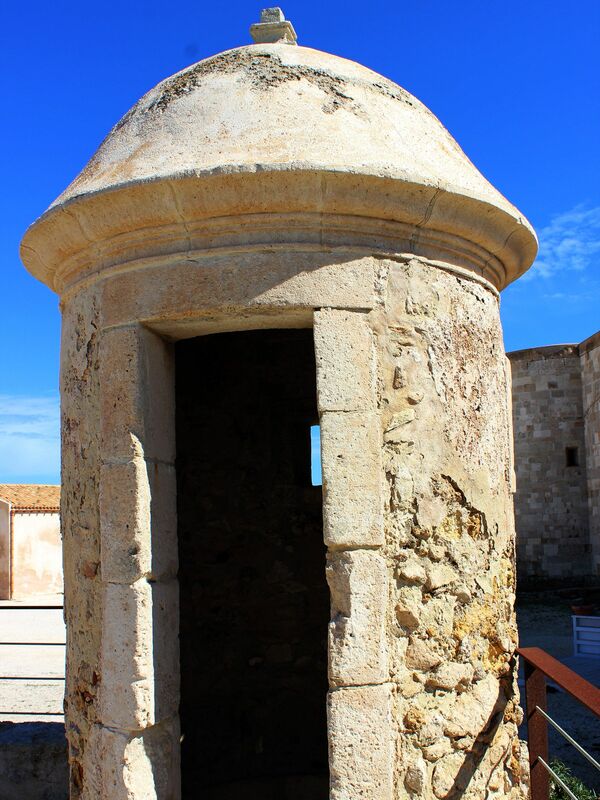 Erected in the early 13th century by Normans it was a perfect defense spot protecting the entrance to the Syracuse’s harbor known as Porto Grande. 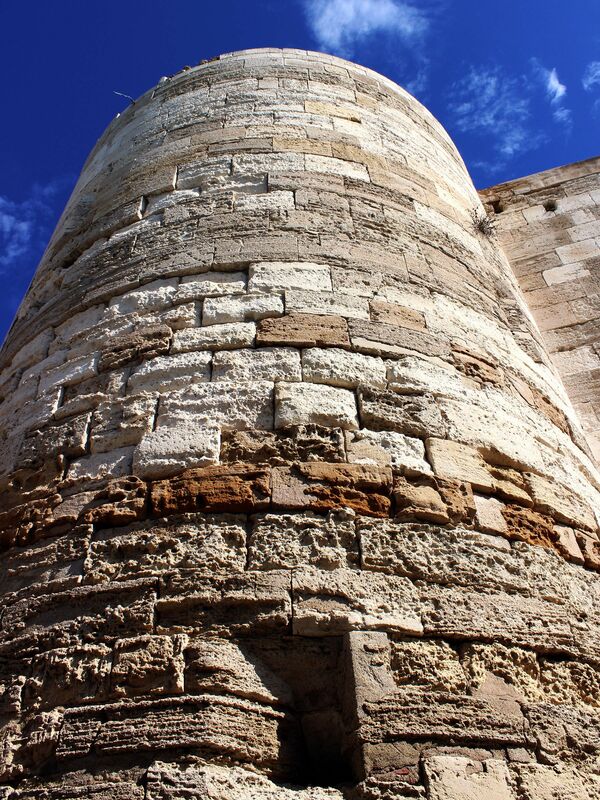 Protected from the land by a moat (now filled with earth) and connected to the rest of the Ortigia Island by the drawbridge, flanked by thick walls with four imposing towers at each corner it seemed to be unconquerable. 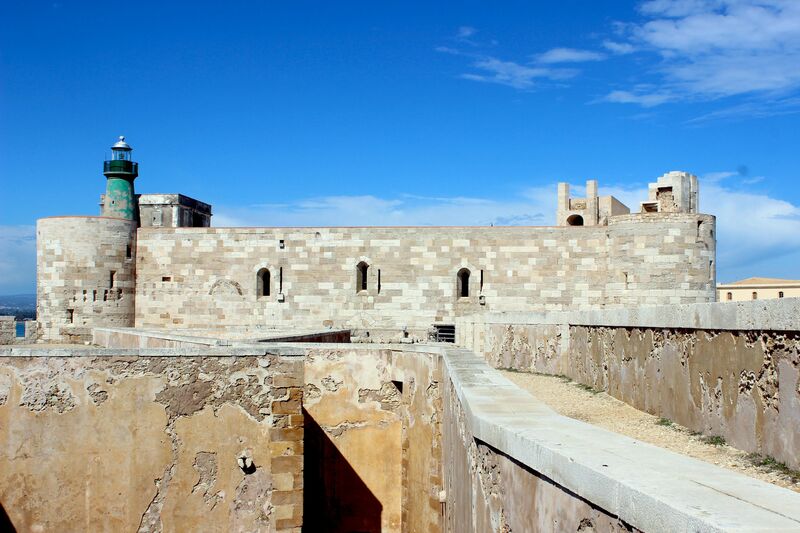 The castle bears the name of the Byzantine general - George Maniaces who’s victory over Arabs in 1038 brought Syracuse back under the control of Christian rulers. Recognizing the strategic location of the place he built there a small fort as the first line of defense for the city. 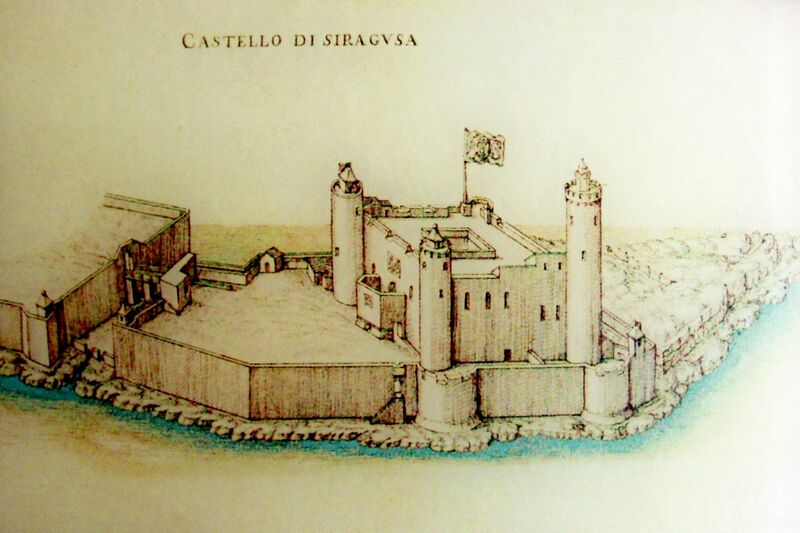 Almost two centuries later at the order of King Frederick II, the castle was farther extended to better answer military needs as well as residential requirements of royal families. 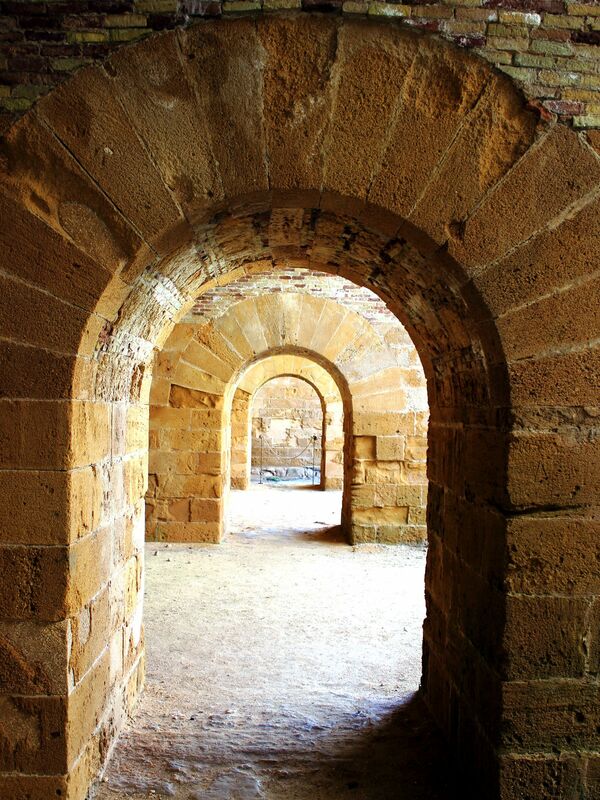 Indeed, for quite long it served as the residence for King Peter of Aragon and his family and later as favorite place for several queens from the royal dynasty of Aragon (Constance, Maria, Bianca….). 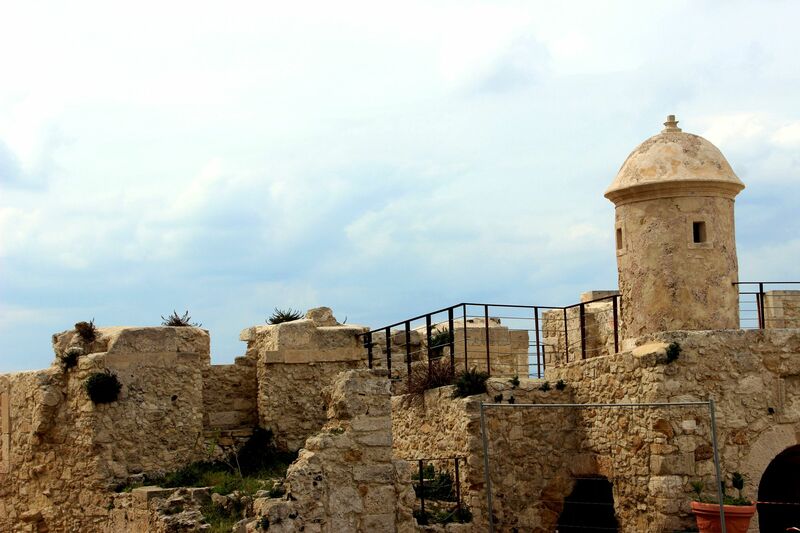 For short period the castle also served as the seat of the Sicilian Parliament. 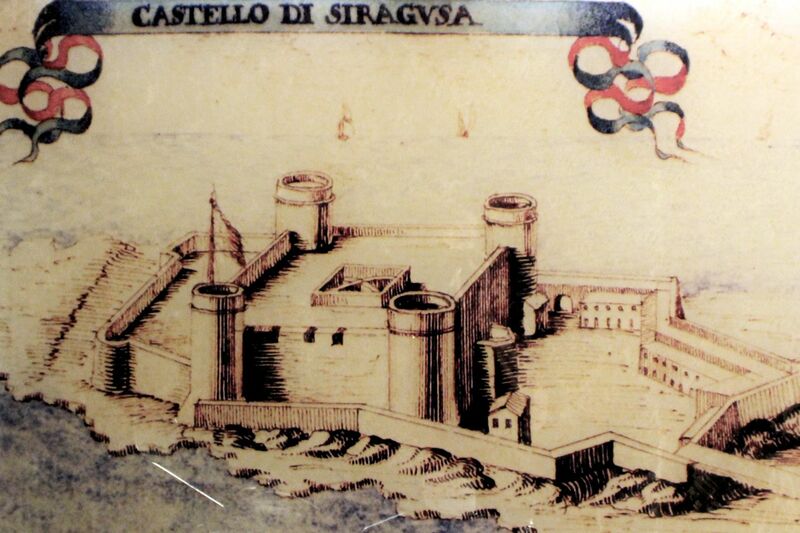 With the move of political and cultural center from Syracuse to Palermo came “darker” period for the Castle Maniace. Castle’s “dark-ages” started in 1488 with the massacre at the order of King Alfonso of Castile of all guests during the banquet held in the castle. That tragedy gave the castle a reputation of the “Haunted Place”. No wonder that throughout the 16th century what used to be the splendid royal residence was used as a prison, then later as the military quarters and gun-powder storage. Maybe it was not surprising when in 1704 the powerful powder explosion leveled part of the castle – sort of destiny expected for the “bloody” place. Re-constructed, the castle served military needs until WW2. Post-war reconstruction brought it back to the magnificent shape from Norman times. 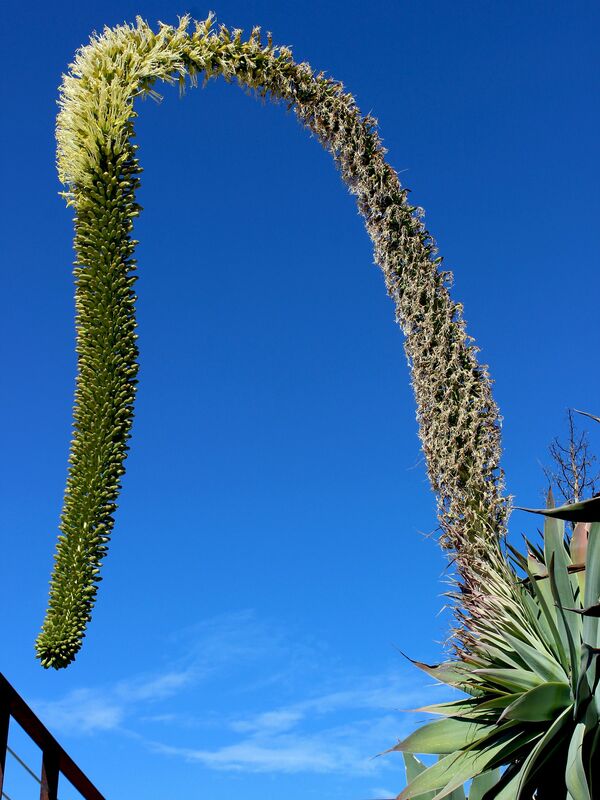 The castle was opened to the public as a historical monument. 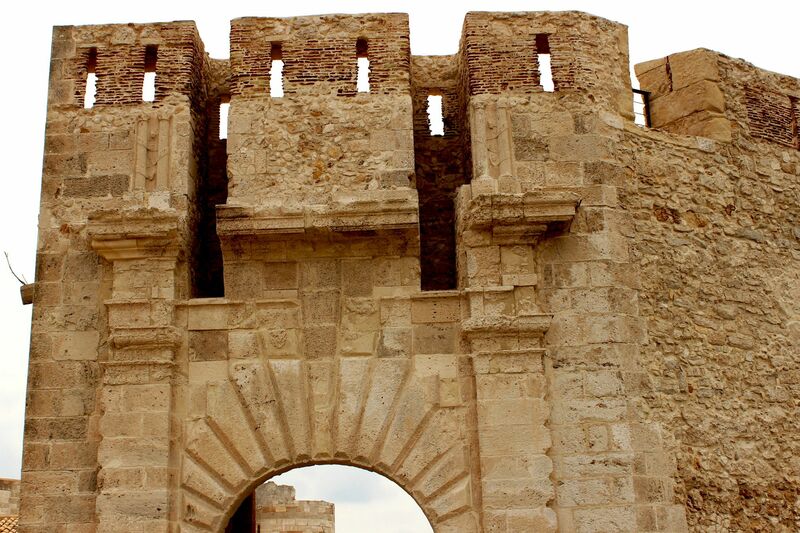 One of the castle’s striking architectural elements is the entrance portal with the pointed arch reflecting Islamic influence and the coat of arms of Charles V of Spain. 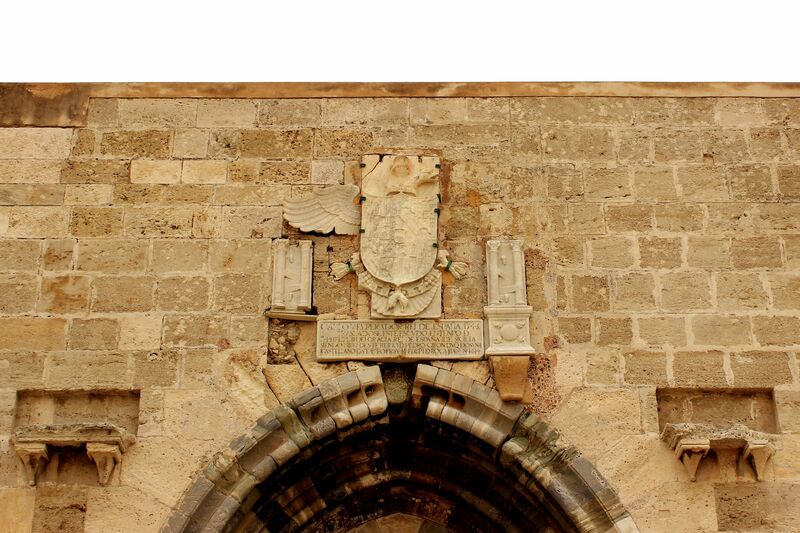 Although visibly damaged, the two-headed eagle still strikes with the power of Spanish royals. 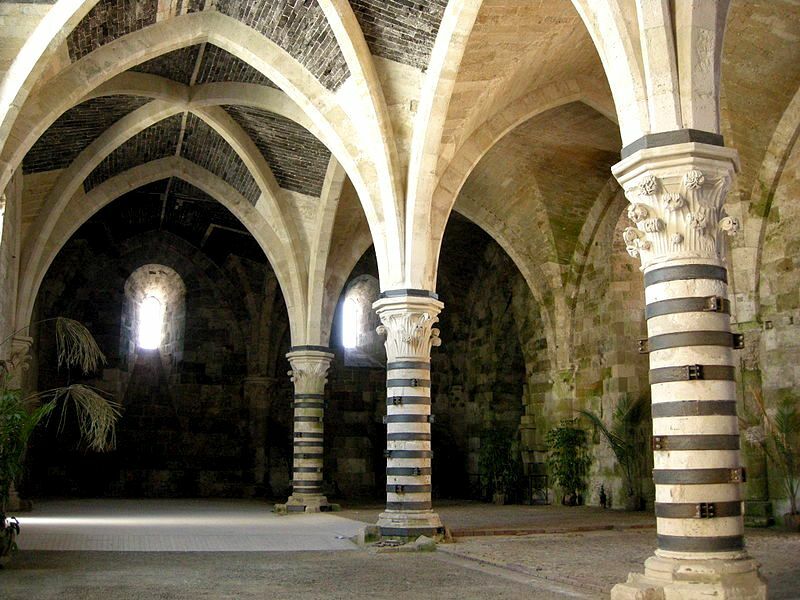 Interior includes the spectacular hall covered by 25 vaults resting on columns. 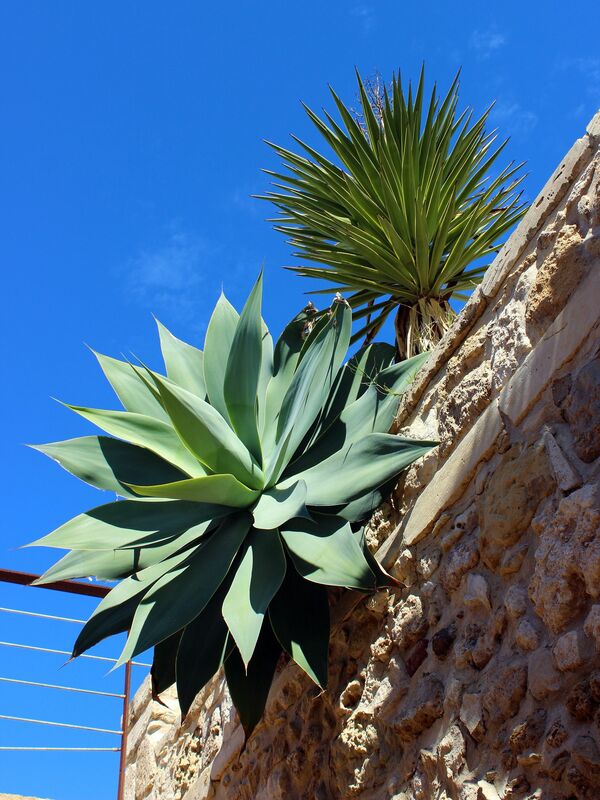 Given the spaciousness of the hall, four large fireplaces in each corner had probably hard time to keep place warm although we have to keep in mind – this is Sicilian climate. The one-time event – snow in Syracuse is still considered as a miracle commemorated in the Chapel of “Our Lady of Snow” in the Duomo.